Homecooked: Easy Recipe for UNIPAK Mackerel Sisig Recipe and Chance to WIN Giftpacks form Unipak! Foodamn Philippines is sharing an easy to make recipe using the high-quality pack of Unipak. Sisig is a common dish for Filipinos but for Anthony Bourdain it’s one of the best in the world alongside the Pinoy’s famed Lechon! Sisig typically has variations, we can make sisig out of pork, seafood, or chicken. Foodamn Philippines has featured Pork Maskara Sisig, Liempo Sisig and Pusit (Squid) Sisig recipe. I say, we made it with much effort, making authentic sisig is quite tedious. But, once done, you’ll get the answer why Bourdain admired this dish. Drain excess water from Unipak Mackerel. Toast for 30 minutes in an oven toaster. Mix toasted Unipak Mackerel with pepper and salt, soy sauce. Add onions and mix well. Pre-heat grilling plate to high temperature. Once hot set fire on medium then add butter and Unipak Mackerel sisig mixture. Mix well to avoid overcooking. When serving the grilled dish add egg and continue mixing sisig until it becomes crispy. The crispier, the better! We are giving away giftpacks from Unipak! Join in the fun so you can make this recipe without spending anything. You can create your own recipe and share here in our blog. Your recipe will be posted here at Foodamn Philippines with your photo and name by the side. Email us your recipe, name and photo at foodamnphilippines(at)gmail(dot)com. How to Win? Read the giveaway guidelines, eligibility and easy mechanics. This giveaway is open to all our Facebook page followers only. If you aren’t a follower yet, make sure to LIKE our Facebook pages: Foodamn Philippines and Unipak. 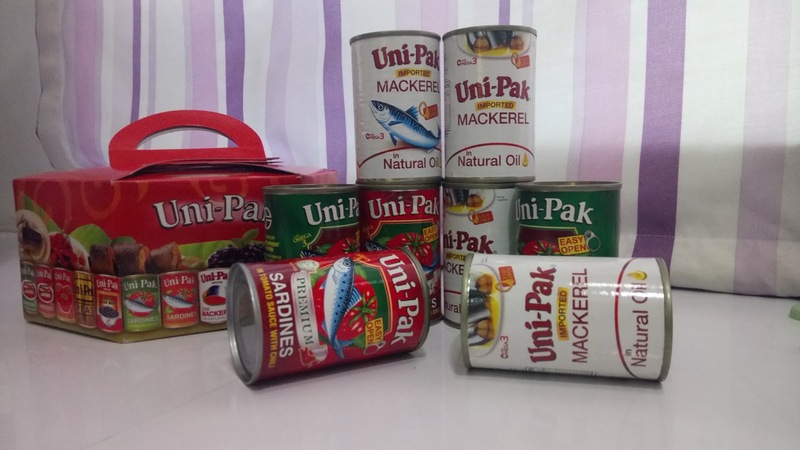 #FOODAMNPHILIPPINESGiveaway 1 Winner of #PakNaPak Unipak giftpacks from @foodamnphilippines @unipakmackerel. Kaya basta Mackerel dapat tatak #UNIPAK! #tatakunipak mga kaFoodamn, just like, tag, and share” and tag three (3) of your friends. 4. Comment on this post with your user handles for Instagram, Twitter, or Google Plus. Each user handles should be under ONE COMMENT. 1. Open to Facebook users who have liked our Facebook pages. 1. Giveaway will run until November 15, Wednesday. One (1) winner will be drawn on November 20, Monday. The result will be posted on our Facebook page. 2. The winner will be notified thru Facebook. 3. Prizes will be delivered by Unipak. 4. This is A SPONSORED GIVEAWAY BY UNIPAK ONLY. 5. For Instagram users, NO giveaway/dummy//double/business accounts. 6. For Unlikers and unfollowers – will automatically be banned from entering our future giveaways and contests once you unliked/unfollow. YouTube YouTube I’d love to know what you think about this post. Feel free to leave your comment. I do reply to each of your messages or questions so please come back if you’ve left one. Followed on ig, fb , twitter and G+.